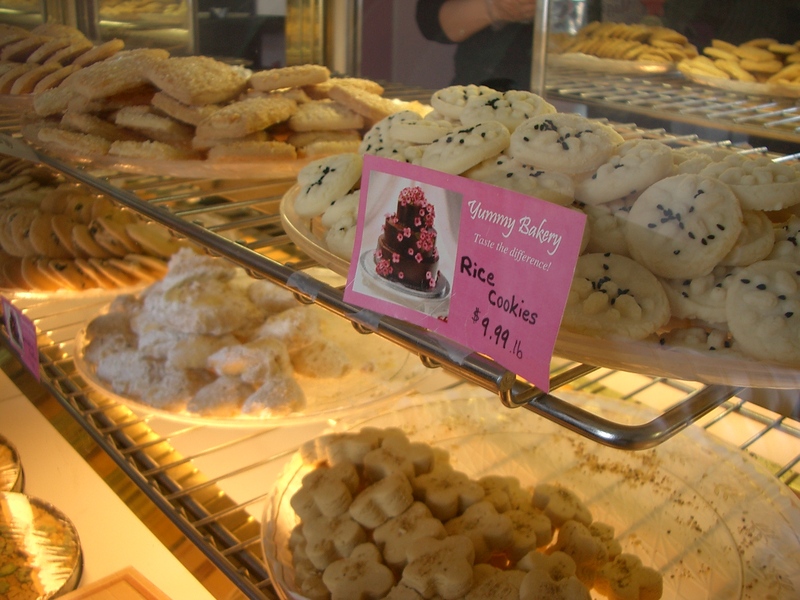 Yummy Bakery may be known for their special occasion cakes (graduation, showers, and birthdays), but they also offer quite the variety of Persian sweets including cookies and donuts. When we visited, it was just days before the Iranian New Year (Nowrūz), March 20th, and the kitchen was abuzz with preparations. There were several specialties available such as Sohan, a crunchy nut and/or seed based candy that can contain pistachios, almonds, sesame and/or flax seeds; and senjed, a ceremonial dried fruit placed on the traditional new year table setting. We were able to try every Persian cookie offered and were bowled over by how delicious they were. It is no coincidence that the Persian tradition of afternoon tea includes these melt-in-mouth morsels. A dozen cookies came up to just under $6 and we considered buying more to share with our friends. Our favorite by were the Naan e Nokhodchi (above, lower right), chickpea flour shaped into rounded crosses, followed closely by the Naan e Berenji (above, upper right), rice flour cookies with rose water and topped with poppy seeds or black sesame seed. 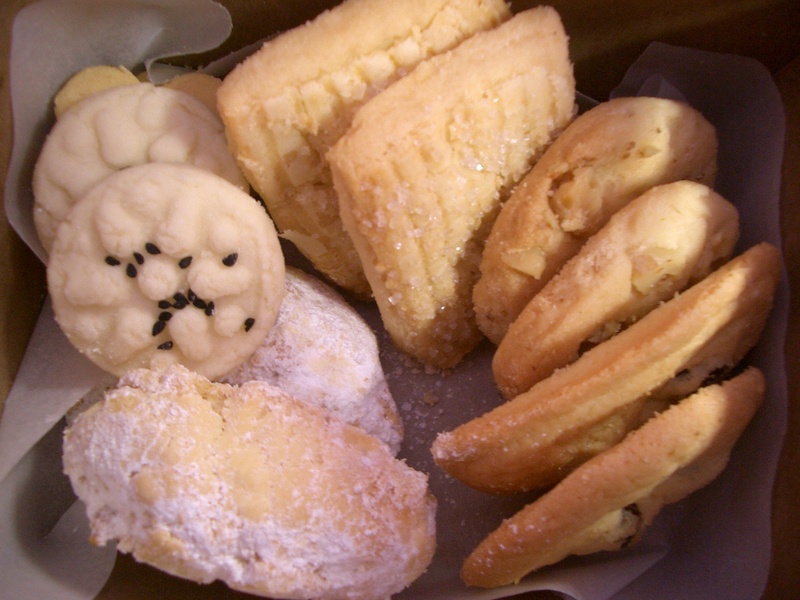 We also tried the walnut, raisin, sugar cookies and the crescent shaped, powder sugar dusted, wedding cookies. All of these cookies were buttery and very rich. 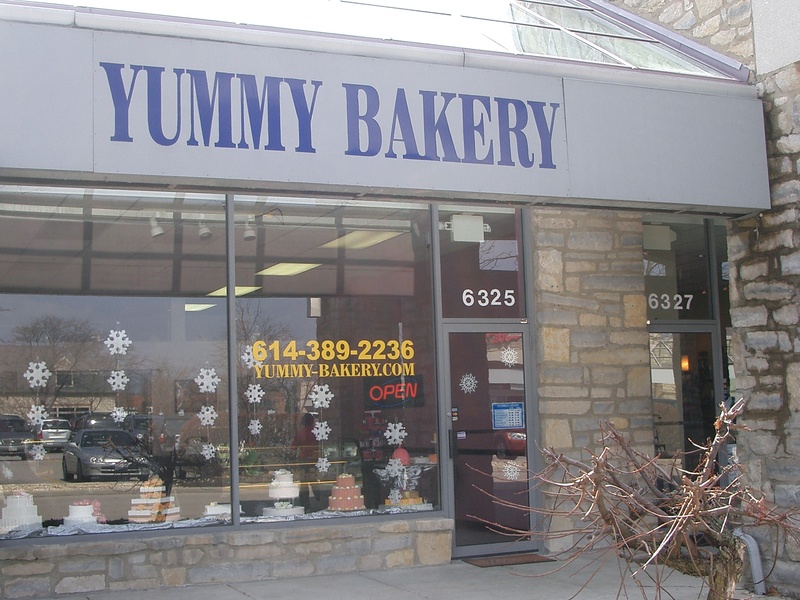 We’re looking forward to trying other Persian goodies from Yummy Bakery! This entry was posted in Bakery, Iranian. Bookmark the permalink. I have been in this place many times, I think not only Iiranian , but also American should try the sweets here. very good job. living in middeast and the chance of having this persian backery is awsome.